Apple Cider Vinegar dates back to over 10,000 years ago. Not everyone knows that apple cider vinegar can be used in variety. It’s not just for your salad or for pickling. Apple cider vinegar is an old folk remedy known as a cure all for many types of ailments. Not only does it promote health but it is used for home cleaning and beauty enhancement. Apple cider vinegar is a natural antibiotic and antiseptic. It’s a germ and bacteria fighter. It’s also great for balancing your body’s pH levels. 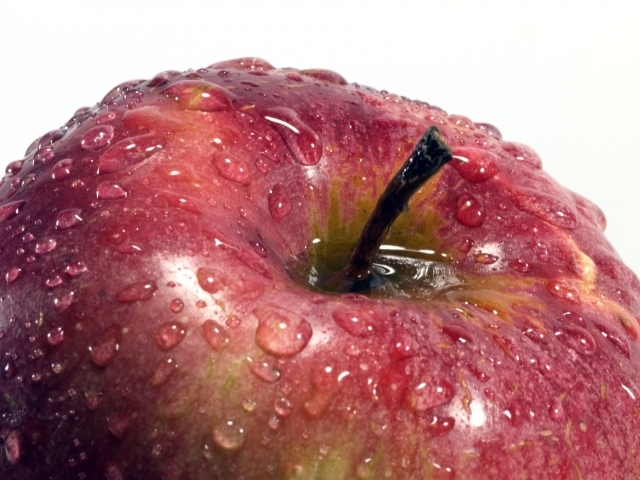 A daily dose of apple cider vinegar is equated to having “your apple a day…” It’s rich in enzymes and potassium. ACV will help your body absorb calcium and magnesium. A teaspoon of ACV added to an 8 oz. glass of water, can offer a numerous benefits to your health. It can increase energy for one and fight off a cold for two. At the first sign of a cold add one teaspoon of ACV to a four ounce glass and drink several cups throughout the day. It’s great for adding to a Neti Pot or humidifier for stuffed up nose, sniffles and allergies. The many wonders of apple cider vinegar are endless. For home cleaning you can add it to your dishwasher where the rinse aid would normally go. It will cleanse your dishes better and help remove hard water spots. Works great in conjuction with an eco friendly dishwashing detergent! In the laundry, you can forgo bleach for good. Use it to brighten your whites, keep clothes from fading, as a stain remover and it rinses clothes more throughly from any lingering detergent. If you’re worried about the smell, don’t be. ACV will not leave a smell on your laundry. Apple cider vinegar is a great disfectant. Simply use it to wipe off counter tops and even areas that tend to collect germs such as your door-knobs, phones, computer, lightswitches, etc. You’ll want to dilute it in water using a 50/50 mix. In your beauty routine use it as a natural deodrant. Just wipe under your arms, it’s that easy. No dilution is required to do so. If your baby suffers from diaper rash use a 50/50 mix and wipe over baby’s bottom. This will help eliminate bacteria and fungus that cause diaper rash. It will also eliminate the bacteria that causes body odor and acne. It’s great for reducing acne and brightening your skin. Apple cider vinegar can be used as an alternative to salt. It will help enhance and bring out the flavors in your food. If you happened to use to much salt or sugar a little ACV added to the dish will help mellow out either the salt or the sugar. Apple cider vinegar is a cheap, effective alternative to cleaning your home, promoting your health and enhancing beauty. I recommend an unfiltered, raw, and organic version such as Virtues of Vinegar. Besides having it on hand in your cupboard, you’ll want to invest in a good book about all the great qualities ACV possess such as Vim & Vinegar by Melodie Moore. Did you know it can kill weeds too? Awesome Leslie! I’ve never even had apple cider vinegar in the house. I’m going to have to try it out as a way to get my body all balanced out. Keep up the good work! Leslie – Great article! Gee, I will have to get my ACV down and start using it, besides in cooking! The best ACV is Bragg, Certified “Raw & Unfiltered” Organic with the ‘Mother’…. It contains no preservatives and Vinegar has a wonderful taste. I was wondering what to use ACV for around my house! I use organic ACV for my chickens; I put it in their water to help their digestive tract and have actually noticed a difference when one of them was under the weather. This is a great way to ensure that my eggs are still organic while keeping the chickens healthy. I’ll take your advice on household uses! Do you mean dates back 1,000 or 10,000 years??!! by 10,00 in both your email and Website? wow! great post. You are a wonderful addition to ECP! Love this post! I use vinegar for everything (cleaning, killing weeds, a daily drink with hot water and raw honey, in recipes, etc.) but you gave me some additional ideas! I had no idea that ACV was so wonderful? I definitely want to try it on my skin, considering I don’t have a baby to try it on their bum! Great post, look forward to more! Great post – thanks! I use it for some cleaning but had no idea about all the other benefits and uses. I will be adding it to my drinking water tomorrow. Thanks! Loved this post! I hadn’t delved into ACV for cleaning yet, but I have been motivated. Thanks! Your article is very informative and gives me some more great ideas on how to use ACV in my home to keep my children healthy and my home clean. I use it to clean the tiles in my bathroom, as well as clean the disposal of my sink. Thanks for the great ideas! Very interesting. I am wondering if it would work for treating fungus on pistachio trees as well. I think I will test it out. And anything to help with the acne is always a bonus!! Thanks Leslie!! I was told by a podiatrist that soaking my feet in diluted ACV (1 to 4 with water) helped get rid of athlete’s foot fungus and toe nail fungus because of the pH. A podiatrist told me that soaking my feet in dilute ACV (1:4) was good for athlete’s foot and toe nail fungus. We use vinegar when cleaning and it works brilliantly. Its a tragedy that the big chemical companies continue to churn out lots of harmful chemical cleaning products that are largely unnecessary. Vinegar is much kinder to the environment so should always be considered. I have a 4 month old with very Bad acid reflux and cry non-stop he is also on probiotics once a day and coliccalm three times a day. He doesnt sleep flat hes on his left side pretty much everything i can think of. My question is he to young to get ACV and if not how much can i give him can i also put it in his bottle. Any other ideas are welcomed to. This is why I keep returning to this site. I can not believe all the new content since last time!